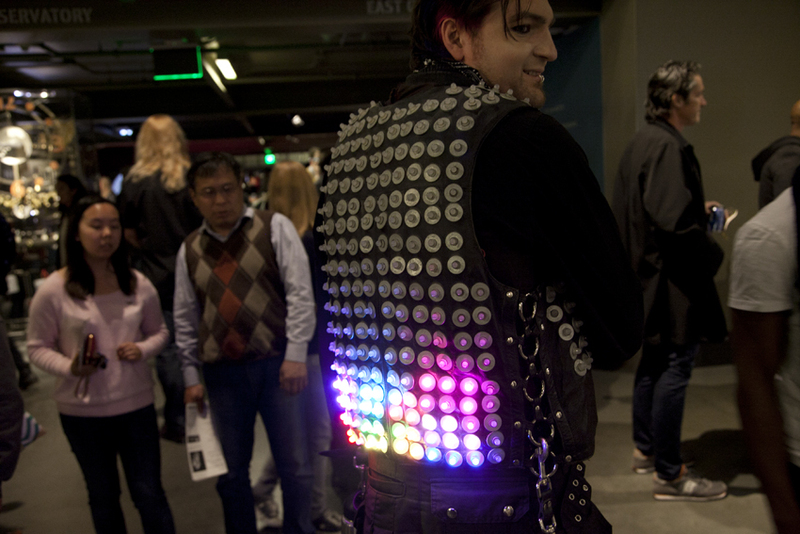 Pixeldelic Vest #WearableWednesday « Adafruit Industries – Makers, hackers, artists, designers and engineers! 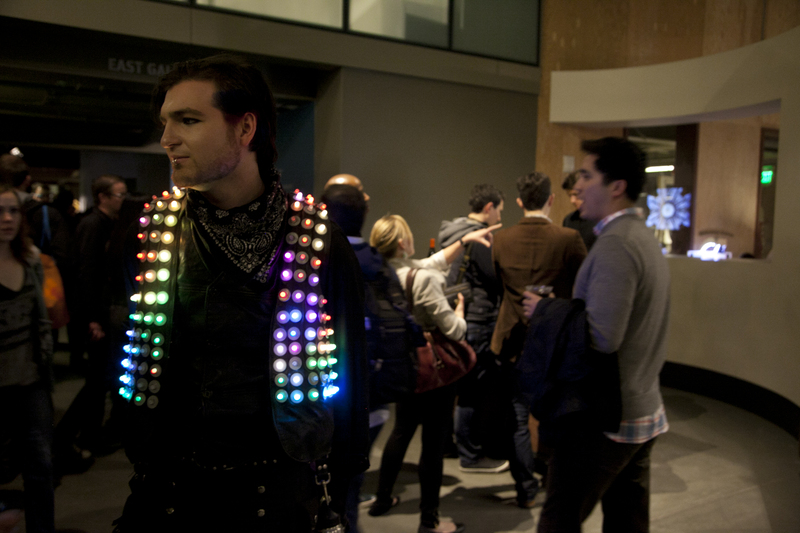 Joshua Herbert’s Pixeldelic leather vests are covered in 324 LEDs that can be programmed to play any pattern or image. Anything seen on a computer screen, including videos right off of YouTube, live video and hand drawn patterns can be shown on the vest.